Technical degrees remain some of the most attractive, for their practical skill-set and easy application make them in high demand to employers who rely on certification to screen their potential employees. In many instances you will not be able to prove that you possess qualifications or promise simply through a general college degree, but only through holding a well-regarded industry certification like a Cisco CCNA or Microsoft MCSE. Technology demands highly standardized and trained professionals, and therefore IT is a profession where skills can indeed be measured and quantified. You may research tuition for technical training and balk at the rather pricey programs, but do not forget that the value and reassurance they add to your resume cannot be overlooked or substituted. Possessing a certification guarantees you job qualifications and represents both time invested and the reputation of internationally recognized corporations. Without it, you are likely to be turned down for a job in favor of another applicant with standard certifications. An important aspect of getting certified is the refresher course, so do not forget to follow up on these to keep your qualifications up to date. IT certifications, like teaching certificates or any other expiring mark of achievement, are useless once they are outdated. You will most likely earn a smorgasbord of certifications depending on what type of work you wish to pursue. There is a huge number of in-person and online certification offered through higher learning institutions today, and no matter what your circumstances are you will most likely discover a scholarship that fits your needs. Start doing your homework by looking over the listing below and checking out funds specific to your desired certification in technology. The CompTIA Award through the Utah State Office of Education may be given to a student in an IT program. The applicant must be enrolled in one of the state’s technical colleges. The award is $250. Find out more state-specific information on IT training through the Utah State Office of Education. 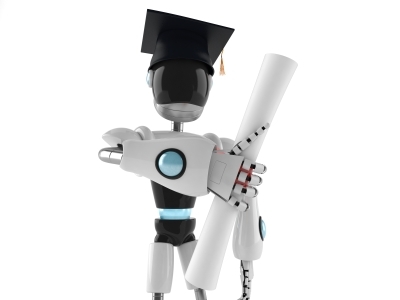 CyberLearning Scholarships, part of the National Education Foundation, give millions of dollars worth of industry certifications to students and educators who would otherwise not be able to foot the costly bill associated with many of the programs. The program is unique in that it does ask for a small fee, but then you can choose from certification through Cisco, Microsoft, CompTIA and others. They offer a huge library of online learning programs including 5,000 IT programs and 60 certifications, and may end up being the most cost-effective way for you to receive your training without breaking the bank. AFCEA Technical Certifications Scholarships awards organization members with $750 to offset the cost of IT industry certifications. The AFCEA is dedicated to providing educational and professional support to military educational institutions and others that require training and IT resources in a heavily weighted technological world. Science, Technology, Engineering and Math (STEM) Scholarships are available to graduate and certification students who are US citizens. AFCEA also sponsors the CSC Defense Technical Certification Scholarship in the amount of $1,000. This is awarded to a currently employed individual younger than 35 who submits a resume and letter of recommendation and wishes to be certified. The applicant must be in the field of communications or technology to be eligible for this award. The Marin Education Fund is now part of the 10,000 Degrees program emphasizing the availability of college for everyone no matter their financial standing. The Fund awards Professional and Technical Training Scholarships for those who need to offset the cost for professional training courses. A few of the scholarships require applicants to be residents of Marin County, California. Awards are plentiful, go for up to $5,000 and are renewable depending on the type of training program applied for. TechTrain is one of the large companies that deliver a smorgasbord of industry certifications, including vocational training and certification prep. The company offers a TechTrain Scholarship that awards full course tuition to one lucky applicant. Contact them via their website for more information. The State of Michigan Merit Awards will automatically offer state high school graduates $4,000 to go to college OR earn a technical certification. This program has given away over four billion dollars so far and is invested in providing higher education to every student that wants it with the long-term knowledge that the state’s economy will grow. Look into the array of funding choices they offer via the website. The ASM Educational Center provides training for individuals and businesses in IT certifications. The ASM Scholarship program is only available off and on, but when it is running it generously awards students $2,000 to put toward a certification program of their choice. Check back with ASM regularly to see if they are offering any scholarships at the time. The West Virginia Engineering, Science, and Technology Scholarship is in the amount of up to $3,000 and goes toward a student committed to any of those studies. The award prides itself on providing financial and technical support to those in the state seeking higher education or technical certification. This scholarship comes with the added requirement that the student must work in the field in West Virginia for one year per each year they received the scholarship, after completing their education. The successful applicant will also have at least a 3.0 GPA. The award goes straight to the college or technical school of a student’s choice within the state. The scholarship works as a state incentive to assist those that might otherwise not have the monetary means to afford a training program. The above scholarships are just the tip of the iceberg for awards in this field. Nowadays when so many students are choosing to become certified in a practical skill rather than complete the traditional four-year liberal arts degree, there are plentiful opportunities to get your education funded. You should check with your local community or technical college to see what they have to offer you. They will most likely have their own scholarships and may be able to cover part or full tuition. Also, the big companies like Microsoft, Cisco, CompTIA, and Novell all offer scholarships, fellowships and internships as part of their corporate philanthropy. These opportunities are constantly going on at various times of the year, and many are aimed at women and minorities. Don’t hesitate to get in touch with these national and local resources to hunt down the funding that will make you a neat financial aid package for your technical certification.